There is a good chance that no matter what you eat, cheese will be a part of the dish. 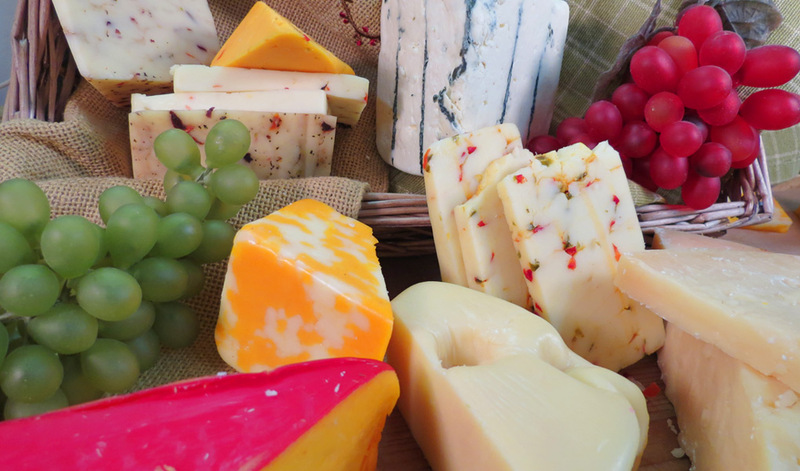 Cheese is one of the most savored foods in the world! It’s one of the few food items that is not only delicious on it’s on but can be paired with literally anything. 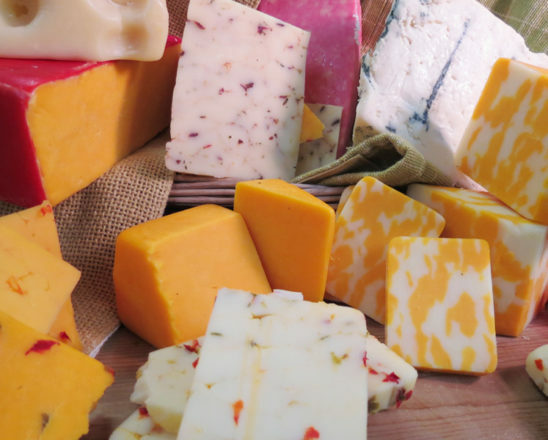 If you think of any item that is edible, we guarantee you that it will be better with cheese. There are some combinations that work better than others, of course. 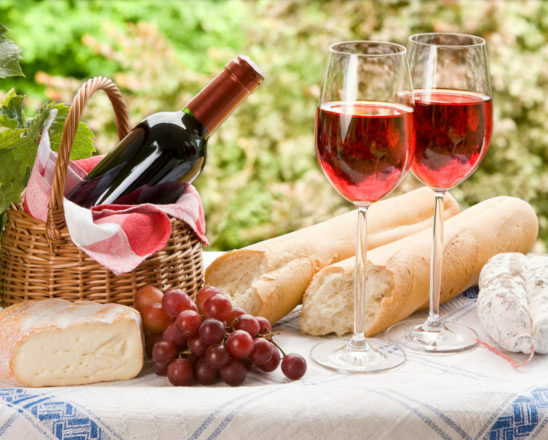 One of the most under-rated of these pairings is cheese and fruit. Not only is this a healthy snack that can be substituted for unhealthy high sugar sweets, but both items actually compliment each other, bringing out flavors in a way that enhances the eating experience. Let’s look at some of the best cheese and fruit pairings. Sit back and enjoy…or better yet, go get some cheese. The article will still be here when you come back. This pairing is a personal favorite for just about everyone. Cheddar has a deep nutty flavor that compliments a whole host of food items. Apples, on the other hand, have a sweet light flavor that goes with just about everything. When combined, you get a nutty and sweet flavor that is hard to beat. Get a block of cheddar (sharp if you’re feeling bold) and cut an apple into wedges. Cut a piece off of your block of cheese, put it on top of an apple wedge, and enjoy. If you’ve never tried this before, you will feel the need to say thank you. This one might be something that you haven’t done yet, but it’s a classic pairing that is often over-looked in the food community. Blue cheese has a sharp flavor and is fragrant. The more fragrant the cheese is, the stronger the flavor. You’ll want your blue cheese to be at around room temperature for this pairing. When mixed with peaches, you’ll experience the sweetness and tangy flavor of the peach mixed with the creamy salty flavor of the cheese. It is a flavor combination that will have you coming back again and again. Gouda, much like cheddar, exists in a range of flavors. There is the mild Goudas, the type that is typically on a pizza or pre-packaged for sandwiches. The mild ones serve a purpose, but for our cheese and fruit pairings, it doesn’t work. You’re going to want the hard Gouda that crumbles when you squeeze it. This variety has the strongest flavor and is perfect for grapes. The sour, mildly sweet grapes will bring out the deep flavors of the cheese and offer the perfect balance of taste. You’ll be using all of your taste buds with this combination. When enjoying this pairing, take your time. You’re going to want to chew it slowly and let all of the flavors sink in to get the full experience. Patience is a virtue when experimenting with cheese and fruit combinations. Goat cheese tends to get a bad reputation in the United States. Unfortunately, you might be one of these people. If you are, give this a try before skipping to the next item on the list. You might just be transformed. Goat cheese might have a certain odor that drives you away. Also, there’s the strong flavor profile that doesn’t quite fit with some people’s palate. That’s why we are combining it with mango. The mango provides a sweetness that really brings out the beauty of the goat cheese. Don’t be mistaken, this cheese and fruit combination isn’t meant to hide the flavor of the cheese. It’s meant to enhance it. Prepare your favorite salad, with all of your favorite toppings. Crumble up some goat cheese and add some mango, and toss it up. Now, add a sweet vinaigrette drizzled over the top. Just about everyone loves watermelon. It might just be the official fruit of Summer. The crisp and cooling flavor is one of the best ways to deal with the heat of August. When watermelon is combined with the salty, moisture rich flavor of crumbled feta cheese, it creates a refreshing flavor that enhances the qualities of both foods. There are two great ways to go about this. Remember that salad you made with mango and goat cheese? You can substitute the last pairing with this one and it will work just as well. You can also take some diced up watermelon, put it in a bowl by itself, sprinkle the feta on top of it, and dig in with a fork. Either way, you will get an amazing experience that will please your mouth and any guests that you have over. Live a little. Cheese and fruit go together in so many ways, it’s almost impossible to run out of new things to try. There are countless recipes online for just about anything you can think of. If you want to take your cheese and fruit game to the next level, we have all the different types of cheese you’ll need. We are betting that after you try some, you’ll want to share them with friends or family, which is why we offer gift cards as well! If you’re in the local area and you have made a great fruit and cheese pairing that you have to share with someone, stop in and say hey! If not, feel free to contact us with any questions or comments. We love to hear from fellow cheese lovers. After all, we are just as passionate as you are. Enjoy your cheese and fruit! Hosting a wine and cheese party seems like a great idea, until you try to organize the pairings! Never fear, here are 10 tips that make throwing the party easy! Cheese is probably the most loved dairy product. But do you know how it’s made? Learn about the science and magic that goes into aging cheese to perfection. Do you have an approximate date that you will begin shipping cheese again? Also, I was in your store a few months ago and tried several of your small oblong containers of fudge! Oh my, that was the best I’ve ever eaten… will you be able to ship that product also? I assume you still carry those small little containers… do you have in larger sizes? We should be able to resume shipping the middle of October or the first of November (depending on the weather). We sure can ship the fudge. They only come in the small, cute containers with the fancy spoon. 🙂 We do not have them on the website, but you can make a note in the comments that you would like that added to your order. We will give you a call to obtain your credit card number for the fudge. I agree with you they are delicious! Thanks so much for your interest in our products and we look forward to hearing from you soon. Janell – Osceola Cheese, Co.